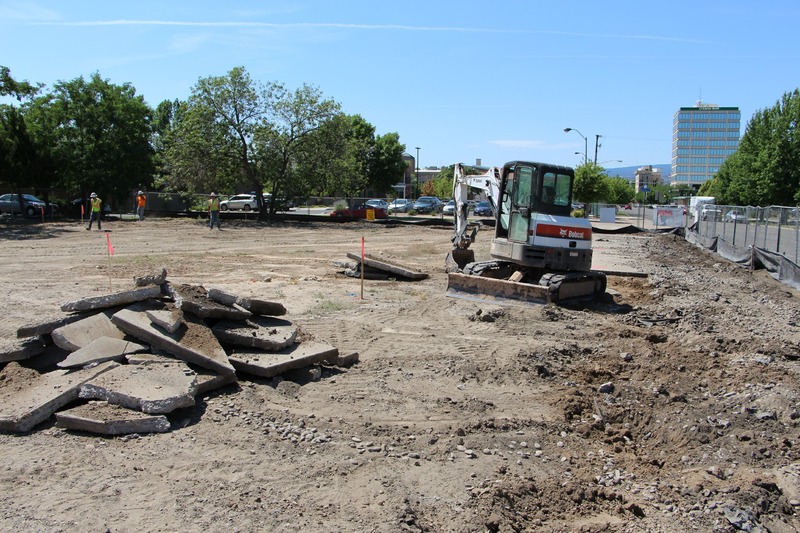 Site work began Monday morning, June 29, in preparation for construction of the Mesa County Libraries 970West Studio building at Fifth Street and Ouray Avenue. Crews prepare the site at Fifth Street and Ouray Avenue for construction of the Mesa County Libraries 970West Studio building. Site preparation is underway at the future site of the Mesa County Libraries 970West Studio building. 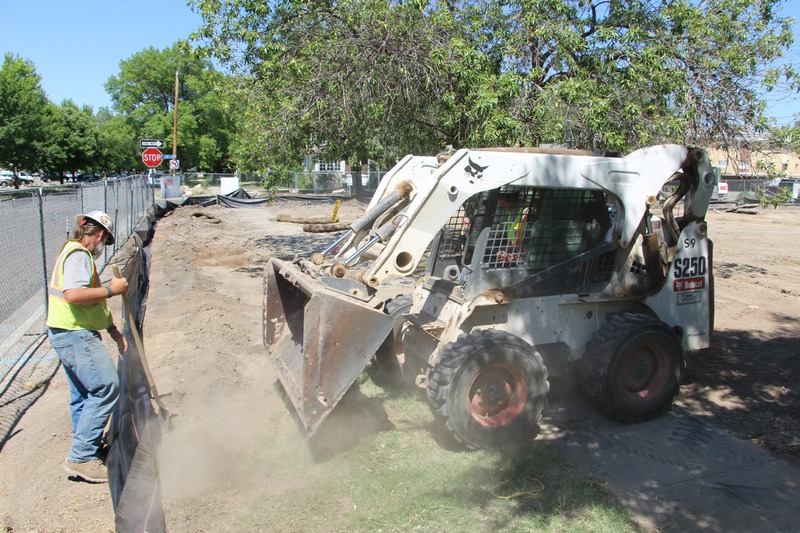 Crews installed a perimeter fence on Friday, then today (Monday, June 29) began removing old sidewalks and otherwise getting the site ready for construction to begin. The 3,000-square foot digital recording and production studio will be built on library-owned land at Fifth Street and Ouray Avenue. The studio will offer opportunities for the public to learn and perform professional-level audio and video recording, and it also will enhance Mesa County Libraries’ ability to document and preserve Mesa County’s unique and vanishing cultural assets as part of the 970West Digital Collection. Click here for more information about the studio project. Click here to visit the library’s 970West Digital Collection. Hello there i have been waiting for a few years for this to finally be done. I am a local musician and would love to come donate my time as a audio engineer for 970 west studios i enjoy nothing more than working in my studio already so to go help and teach others would be great i have been producing music for the last 18 years now, i am 34 years old and enjoy every minute of teaching something new to others. Music help’s people in everday life so why not make the most of it and do something great within our community… Email has been provided for anyone to contact me feel free have a great and safe Halloween. Thanks Rodney! I’ve forwarded your info on to the studio team.